From AMC's Hit Show The Walking Dead. Great for fans of all ages, soft and cuddly. 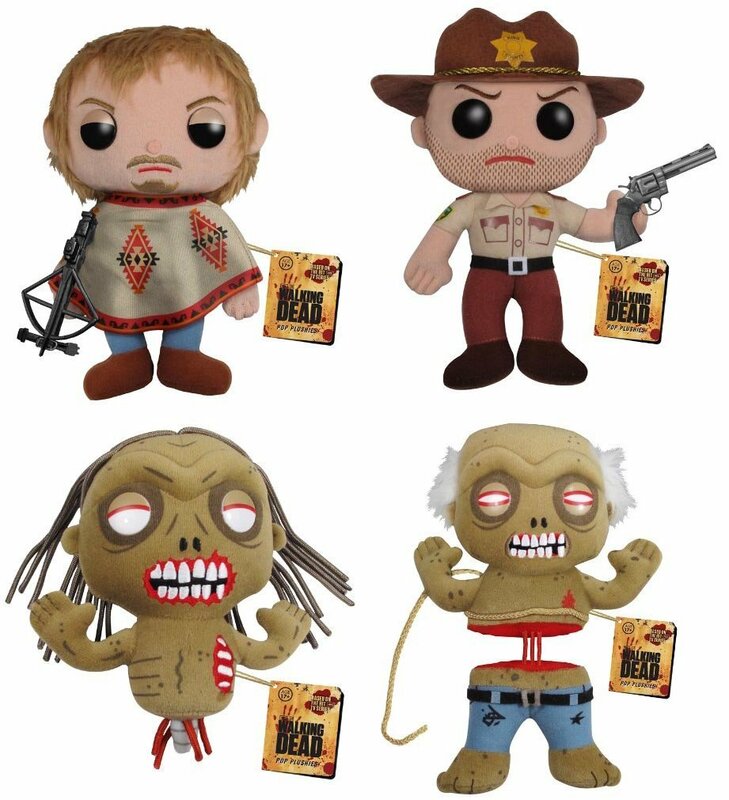 Set of 4 includes: Daryl Dixon, Rick Grimes, Bicycle Girl, and Well Zombie. From the premiere episode titled "Days Gone Bye," it's The Walking Dead Bicycle Girl Pop. Plush. 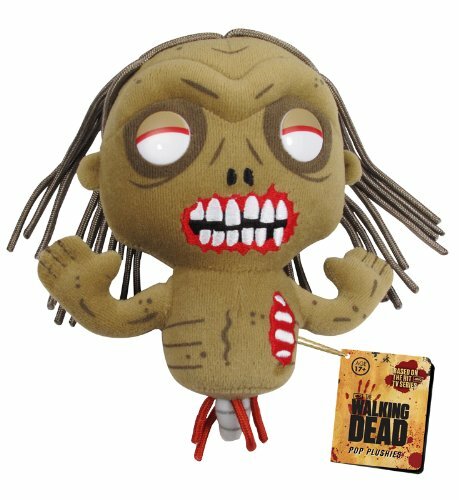 This horrifically detailed 7-inch tall plush features the bicycle girl zombie from the first episode with her dead, stringy hair and visible rib cage with noodly tendons hanging from her waist. Modeled after one of the more gruesome zombies from the AMC TV show The Walking Dead, The Walking Dead Bicycle Girl Pop. Plush makes a great gift for fans of the series. 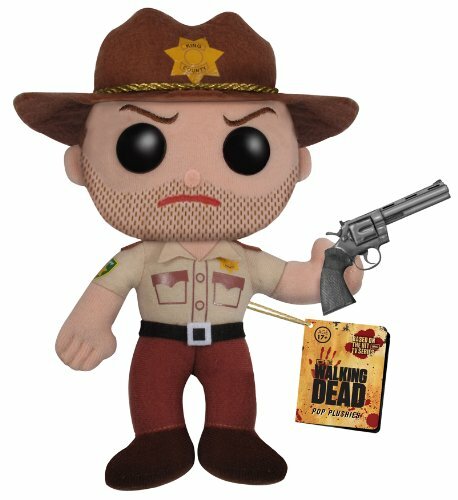 With a 5 o'clock shadow and gun at the ready, it's The Walking Dead Rick Grimes Pop. Plush. This detailed 7-inch tall plush features Rick Grimes in his King County sheriff's hat and uniform. Modeled after Andrew Lincoln's portrayal of Rick Grimes on the AMC TV show The Walking Dead, The Walking Dead Rick Grimes Pop. Plush makes a great gift for fans of the series. From the second season episode "Cherokee Rose," it's The Walking Dead Well Zombie Pop. Plush. 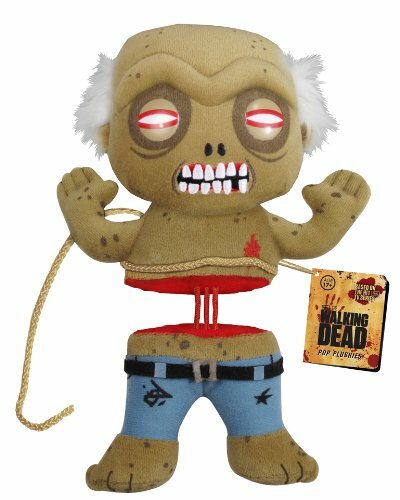 This horrifically detailed 7-inch tall plush features the well walker from the fourth episode of season 2 split in half with a rope attached just above his waist. Modeled after one of the more gruesome zombies from the AMC TV show The Walking Dead, The Walking Dead Well Zombie Pop. Plush makes a great gift for fans of the series. Wearing a poncho with crossbow at the ready, it's The Walking Dead Daryl Dixon Pop. Plush. 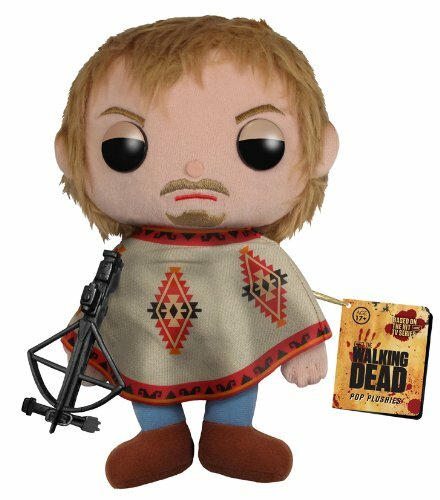 This detailed 7-inch tall plush features Daryl Dixon with shaggy 'do, facial hair and a serious expression on his face. Modeled after Norman Reedus' portrayal of Daryl Dixon on the AMC TV show The Walking Dead, The Walking Dead Daryl Dixon Pop. Plush makes a great gift for fans of the series.